Kiwi producer and sound-design artist Koronis isn’t a name I’ve come across before, but it’s certainly one I’ll be keeping an eye on in future based on the strength of his latest LP project The Replicant. Bringing together creepy atmospherics more common to dark ambient and crisp techstep minimalism, the resulting tracks have a bleakness and intrigue which draws the listener in impressively. The LP’s first half focuses on more conventional drum & bass patterns, and while not unduly dancefloor focussed features three tracks which wouldn’t feel out of place in a “room 2” set from the likes of Amoss or Cern. Tough amens, intricate drum patterns and a gloomy vibe pervades the material here nicely. 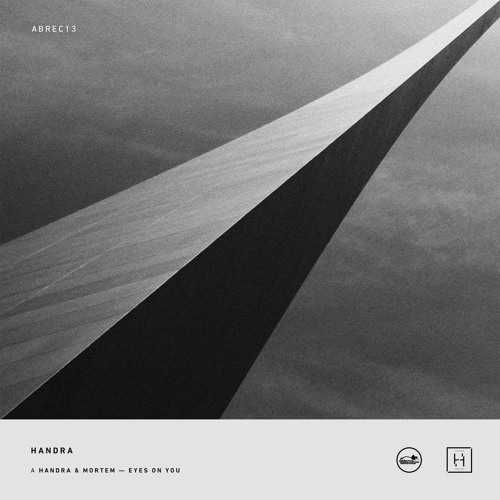 The second half takes things far more abstract, dropping the beats almost entirely to focus on sound design and texture, with powerful ambience and use of atonal melodies taking the tone to a deeper and almost spiritual place. Koronis is tapping into the cross section between dark D&B and dark ambient for a truly unique experience here, not least on the haunting tones of Kara, the LP’s final track. For those who enjoy exploring the less than beaten paths at the fringes of drum & bass, I can’t recommend this record enough. Check out the video mix below for a flavour of the material and watch out for the LP dropping later this year on vinyl and digital. 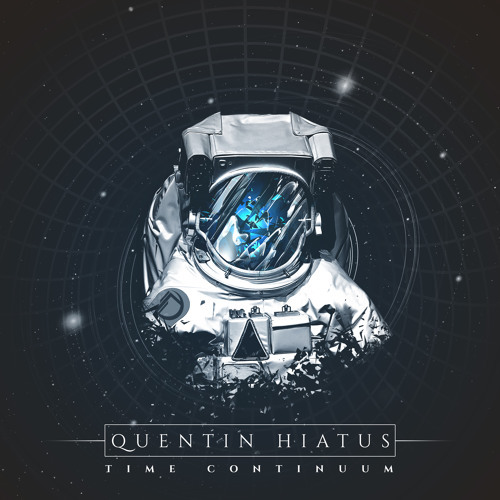 The ever prolific Quentin Hiatus is back and this time he’s dropping experimental riddims for Onset Audio. Time Continuum harnesses the spirit of Techno for a quirky, robotic workout with some interesting switchups, apparently exploring the vastness of time & space via it’s various peaks and troughs. Gully meanwhile drops the tempo slightly to the 160BPM region and blends the techno influence found on the first track with crusty old school breaks and more unusual rhythmic manoeuvres. These beats will have you constantly guessing! Check out the clips below and hit up your favourite digital outlet to grab them right now. Seattle based producer Homemade Weapons has carved out quite a reputation for himself as a purveyor of stark, militant beats and his latest EP for Presha’s esteemed Samurai Music imprint is possibly his finest work to date. 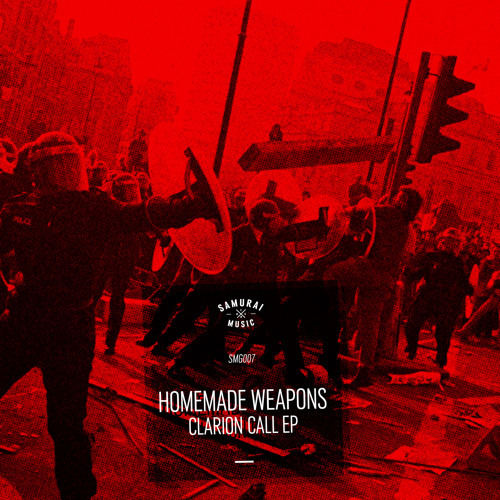 The title Clarion Call (and indeed the cover art, featuring images of riot police fighting protesters) should give you some idea of what to expect; this is angry music with more than a little edge to it. The EP’s first half hits the hardest, with tough break chopping and brooding sub a-plenty, with highlights on the positively snarling Clarion Call and the relentless kicks and breaks of Mileena VIP. The digital only tracks on the second half take things deeper, keeping the ominous tone but reeling in the breaks in favour of more spacious halftime stylings. Overall the EP is a fearsome selection of material for those who like their beats at the moody end of the spectrum. Check out the clips below and hit up the Samurai store to get a copy on digital now. Vinyl heads, if you haven’t already grabbed a copy direct from Samurai you’ll need to keep an eye on the usual outlets when the record reaches general release. If you’re looking for more from Homemade Weapons the man himself has just mixed the latest installment of the Samurai Podcast; check out his murky selections below. 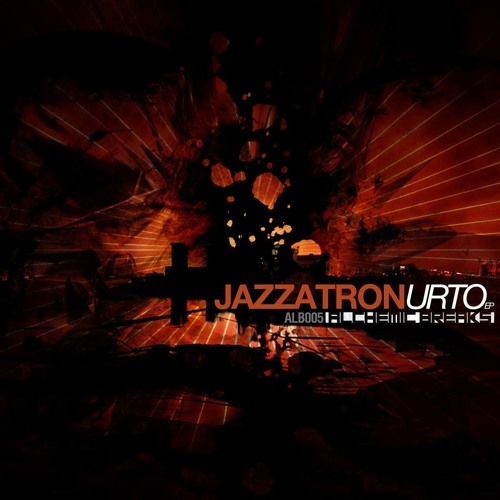 Alchemic Breaks present their 5th release from Italian producers Jazzatron, who dish up a tasty little EP of varied delights. Urto keeps things relatively conventional, dishing up a solid slice of techstep with some nice percussive details, but this is just an entrée for the main course coming up. Come Quick should prove a win for fans of the jungle tinged sound, harnessing classic breaks and ethereal pads for a bit of a retro-modern vibe, bringing tons of character to the tune. Our favourite here at the Dojo though is the chopped up percussion assault of Juke/Footwork influenced Just Jukking. Fantastic rhythm and low end scuzz…yes please. Check out the clips below and look for this one dropping August 22nd. After quite a period of preparation since we first learned of Anamorphic in Feb this year, the new Belfast-based label is ready to unleash their first release from Dan Guidance, and it’s definitely been worth the wait. 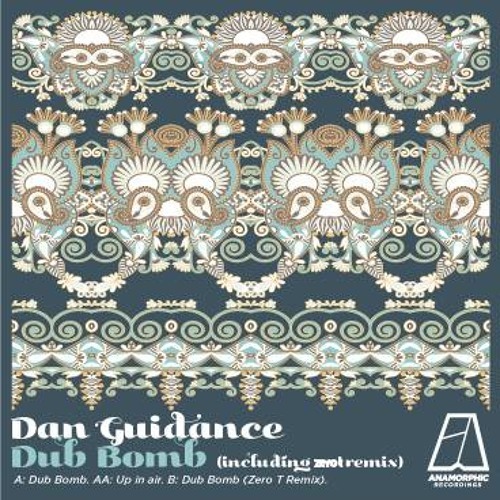 The appropriately named Dub Bomb leads the charge with a nice rolling skank, while Up In The Air brings together lush melodic elements with a healthy bassline for a slice of liquid that’s still more than capable for the dancefloor. Perhaps predictably though the star of the show here is Zero T’s slamming remix of Dub Bomb. The kicks and snares have been sharpened up considerably and the bassline carries some seriously tasty extra scuzz, making this one a sure fire weapon for smashing up the dance. Noice! Check out the clips below and look for this on digital and vinyl from August 26th. 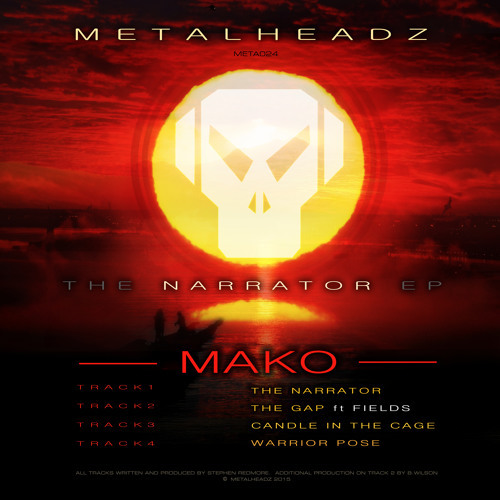 Mako’s blend of tough yet nuanced techstep has won him plenty of plaudits over the last couple of years, with releases across some of the best labels in the scene, and his latest work for Metalheadz sees him at the top of his game. There’s an old school tinge to a lot of the work here, eschewing the hyper-technicality of modern D&B in favour of simple but effective basslines and detailed break chopping, a combo which proves just as weighty and just an energetic as any of the ultra modern productions found elsewhere. Possibly the finest example on this release comes on The Gap, an exercise in high octane percussion concussion in collaboration with frequent partner in crime Fields. The tension and intricacy of the track are pretty breathtaking, giving the impression that every completed work for Mako is a labour of love. Shades of classic scene originators (notably Photek) can be heard in the EP, but Mako’s talent is undoubtedly his ability to draw on these influences for inspiration without merely copycatting them. In a scene where originality is soon packaged and immitated, Mako succeeds in standing apart from other producers; The Narrator is a record that is distinctly ‘headz while at the same time not quite like anything else on their recent roster. Overall if you’re looking for something with heft and soul in equal measure, this should be right up your alley. Check out the clips below and hit up the Metalheadz store to grab it on vinyl or digital right now. 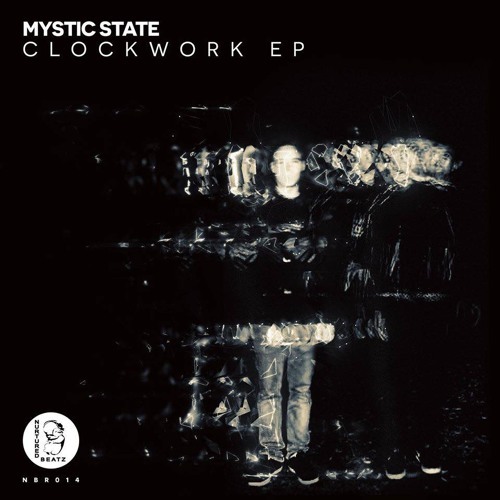 We picked out Mystic State earlier this year as one of our top 5 to watch, and their latest EP for Nurtured Beatz adds another solid release to their already impressive catalogue. If you like your beats deep, moody and groove focussed then this one should hit the spot nicely! Clockwork lives up to it’s name with a steady halftime groove built around chiming percussion and a distinctly mechanical feel. Submerge continues the halftime trend but takes things darker, with bassline and heavy snares evoking brooding, murderous tones. The second half of the EP ups the ante with full-roll collaborations with Howz & D-Side; the murky aesthetic is still present and the style remains stripped back, but the sludgy halfstep beats are swapped out for a crisp, insistent 2-step. The Room 2 heads will definitely be feeling these! As usual you can pick up the whole EP direct from Nurtured Beatz via Bandcamp at a reduced price, or grab them from all the usual digital stores. Check out the clips below and go cop the release right now! Sam Altered Perception is a busy man. Between co-running five (five!) record labels and a nearly constant stream of new productions, we’re not quite sure when the man finds any time to sleep or eat. His latest EP for 50/50 sublabel PowerON is some of his finest work to date, exploring the halftime D&B template with an emphasis on intricate percussion. 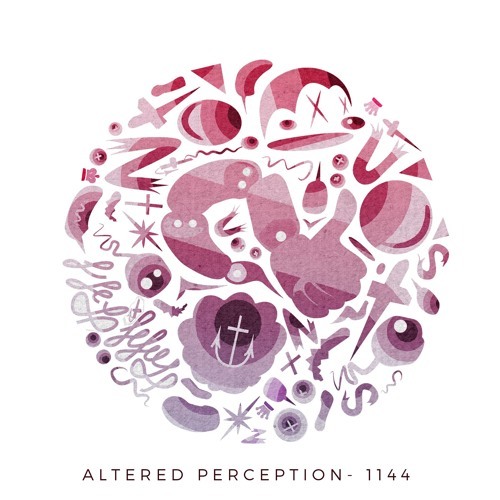 Title track 1144 brings some serious bassweight to the party, growling away behind a plethora of skittering percussion inside a tight kick/snare riddim. Synchronicity takes things deeper, with floaty synths, heavy sub and almost drumfunk style fills driving the tune along. Last but not least, Space Invaderz takes things in a ravier direction with old school stabs and a staccato feel to the composition. This one hits hard! The halftime style continues to prove an exciting dimension to the D&B sound, and we hope to hear more from AP in this style in future. No release date as yet, so keep your eye on the relevant Facebook feeds for news. Since impressing us with his release last year for Sub:mission Audio, Croydon-based producer Mitekiss has busied himself setting up a liquid imprint of his own in the form of Goldfat Records. Having released two singles of his own material, the label doors have been thrown open to welcome East Londoner Pin to the Goldfat family. 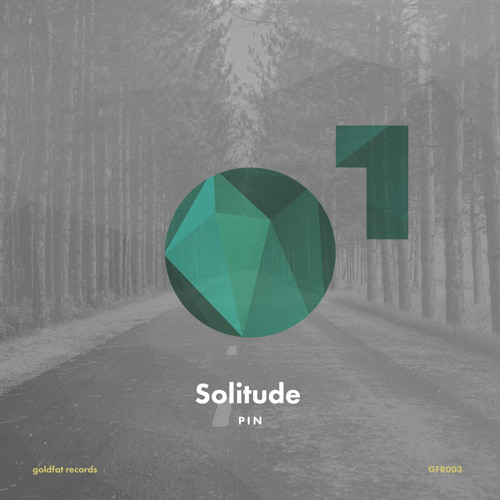 Sticking to the label’s deep liquid aesthetic, Solitude provides the more dancefloor focussed yet still deep and melancholy roller, while When We Were eases back on the gas in favour of softer beats and shimmering, IDM-style synth leads which are drenched in reverb and beauty in equal measure. Blissful stuff. Check out the clips below and watch out for the release dropping August 22nd.